24 hour emergency dentists are a team of professionals that could be found in every city, each unique, with a great deal of experience. They deal with problems like knocked out teeth, toothaches and cracked dentals. While a few of them offer daytime office hours, others function during the nighttime only. 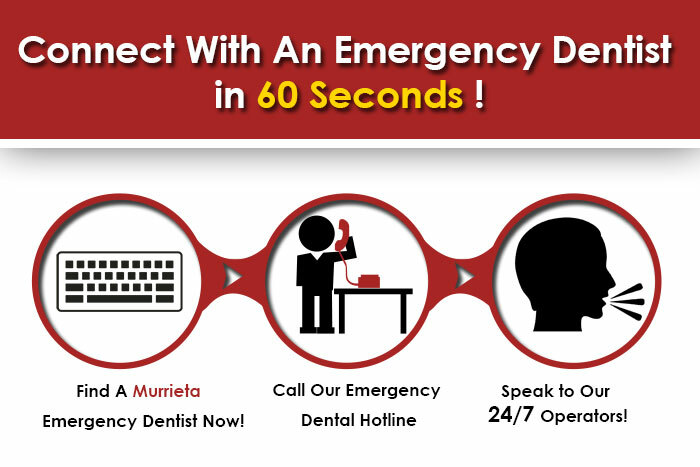 Like other regions, Murrieta has its fair share of emergency dentists and dental care units. Out of the 107,000 people who live inside Murrieta, at least 7% are young children, below the age of 5 who often find themselves suffering from dental caries, the result of sweets and chocolates. For these kids, a good bunch of dentists are absolutely necessary, especially emergency ones. Such dentists operate after office hours, making it possible for patients to rush in in the case of emergency dental problems. This group of dentists has been hailed as experts and professionals by many patients, new and old. There have been a number of patients who have not visited a dentist in years, naturally fearing the prospect of seeing one now. They then visited the Madison Square Dentistry where the staff took care of them and handled their dental issues with much finesse and confidence. On Mondays and Saturdays, you could find them available from 9.00 a.m. to 1.00 p.m. On Tuesdays, Wednesdays, Thursdays and Fridays, you could drop by at any time between 9.00 a.m. and 6.00 p.m. The dentists at this dental care center will carefully explain the problems you may or may not have. Also, they make sure to tell patients what could wait and what requires instant attention. With a modern-looking office and a helpful batch of dentists, the Madison Square Dentistry has won hearts all over Murrieta. Call 951 677 5113 to get in touch with Dr. Tibbitts, a professional in the field of dentistry. To send a message to him for any questions, queries or appointments, you could visit his website and fill up the free online form. He and his team are available from Mondays to Thursdays from 8.00 a.m. to 5.00 p.m. On Fridays, they are open from 8.00 a.m. to 4.00 p.m. Accepting most major credit cards, Dr. Tibbitts and his team offer several services including natural-looking dentures, cosmetic bonding, lumineers, teeth whitening systems and much more. While all staff members speak English, Spanish-speaking staff members happen to exist too, coming to the aid of Spanish-speaking patients. Call this dental care center for a consultation or for their services, at 951 304 3044. Their website not only contains educational dental videos, but also a gallery of satisfied patients who have dazzling smiles and healthy pearly whites. Their area of expertise includes dental implants, conscious sedation, teeth whitening, full-mouth reconstruction, laser dentistry and much more.